When it comes to carpet starching and repair in Castle Rock Co you'll need to hire a professional carpet cleaner to service you. You make ask how much will it cost to have carpets re-stretched or repaired in my home? How much can I expect to spend. Well its not quite as transparent as carpet cleaning. Carpet Repair and stretch jobs can be completely unique. Very job can be different because every problem maybe different from the sguare footage of the room to how much furniture may need to be moved as well as any cutting and or re-seaming may need to be done. New tack strips may need to be installed as well. So the answer more than likely can never be found on a carpet cleaning coupon. 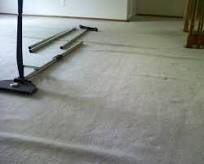 At TLC Carpet Care in Castle Rock Co we can help you determine what you may expect by getting some info over the phone we can determine how many rooms vs how many man hours that it may take to complete your carpet stretching and repair job. I can tell you that the average hourly rate is around $125.00 an hour. Once carpet repairs have been completed have TLC also do your carpet cleaning as well will help the latex in the backing of the carpets relax and lay down to their original condition. TLC Carpet Care in not just your local carpet cleaner but we are also experts at all carpet stretch and repair work as well.